I noticed 18 dots on the back of the GPy that look like dry connectors, but I couldn't find any documentation about them. Are those just strange soldering dots or Are those supposed to offer functionality. @shedaim I'd agree with @robert-hh. 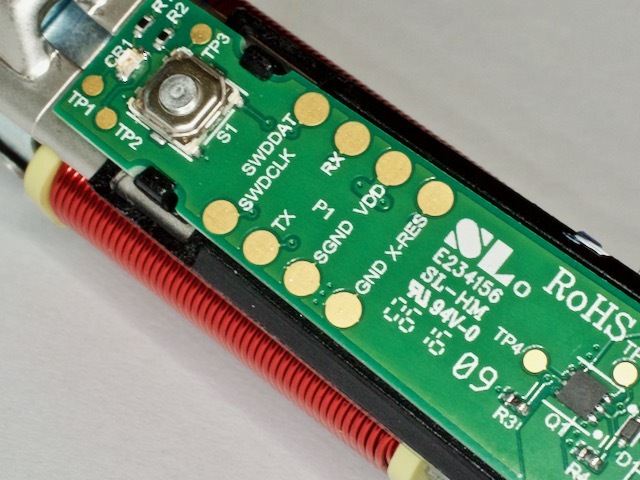 Such "test points" are often incorporated into a PCB for automatic testing during production. Most boards pass through an automatic testing stage during manufacture and at that time it can be "pressed down" onto a jig that makes contact with these test points and allows for full testing and quite often the loading of any boot code required. @shedaim For me the look like test points for manufacturing tests.